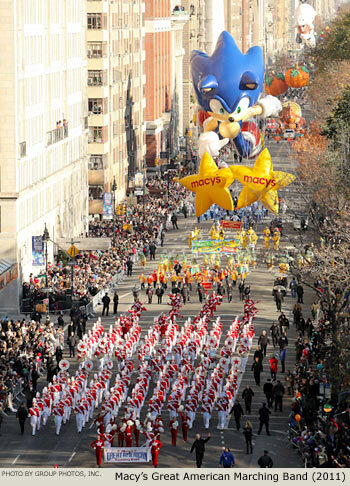 Massive crowds took advantage of pleasant weather to line the route and cheer for the bands at the 2011 Macy's Thanksgiving Day Parade. 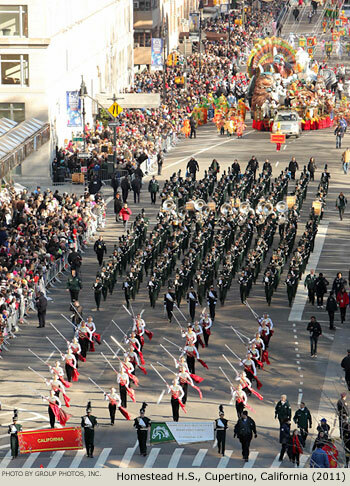 The lineup featured seven high school bands, one all-state band, one university band, a police band and the Macy's Great American Marching Band with members from all across the United States. 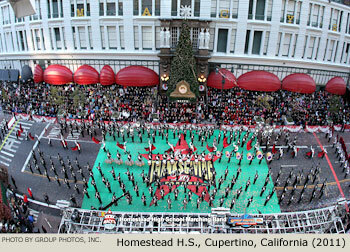 The bands are pictured here in order of appearance. 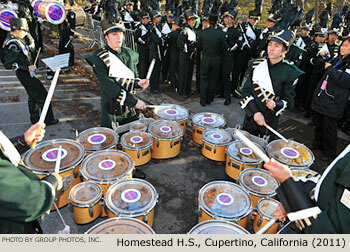 All pictures in this gallery were provided by Group Photos, Inc., the offical group photographer. 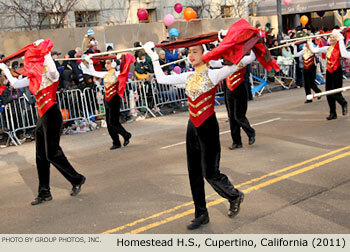 You can view and purchase thousands of photos online at GroupPhotos.com. 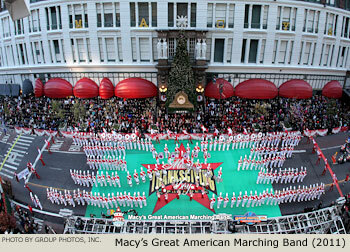 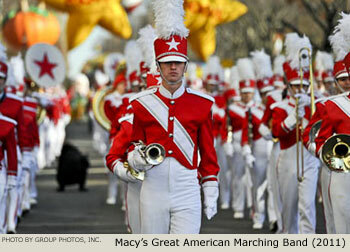 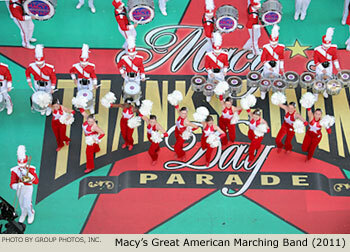 Also see: Photo Essay: A day in the life of a Macy's Parade marching band.